More and more states are outlawing talking on your phone while driving, but sometimes you just have to make a call. 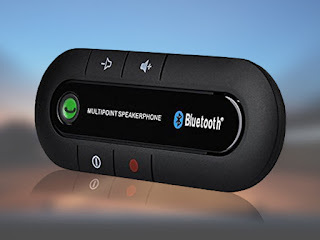 If you're not driving a newer car with Bluetooth built-in, you're going to love the MultiPoint Bluetooth Car Speaker Phone. Capable of pairing with two phones at the same time, this handy speaker lets you make and receive calls hands free so you don't get ticketed, and keep your eyes on the road.